I have done a fair amount of cooking/baking the past few weeks for lifegroup, parties and other assorted things. I definitely have more of an affinity for cooking sweets over cooking savory. I need to work on that. Recipes listed below. 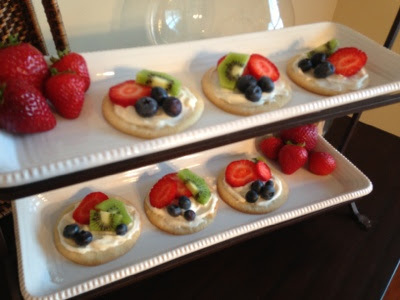 Little sugar cookies (I cheated and used break and bake) iced with homemade cream cheese topping and topped with fresh fruits. This is one of my go-to party recipes. 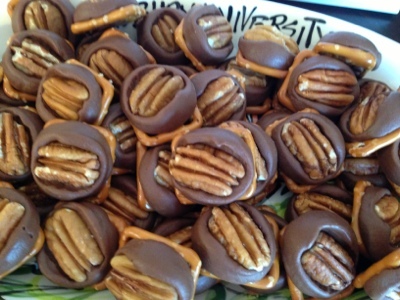 Only ingredients are pretzels, Rolos, and pecans. Hardest part is unwrapping an entire package of Rolos candy. So easy to make and so yummy. They never last long in our house. Our friend Reagan's birthday was yesterday so for lifegroup we had her favorite - red velvet. Red velvet cupcakes and this red velvet cheeseball. It is easy to make...way easier than baking and icing a cake...and really yummy on top of nilla wafers or graham crackers. Beat cream cheese, sugar and vanilla with mixer on low until smooth. Beat in whipping cream on medium until stiff peaks form. 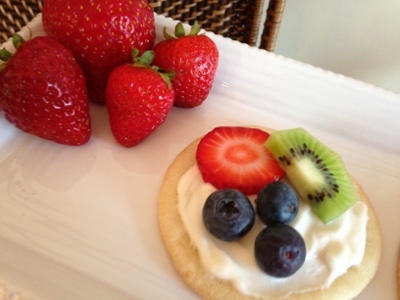 Spread on sugar cookies and top with fresh fruit. Line up pretzels on a cookie sheet, place unwrapped Rolo on each one. Bake at 350 degrees F for ~5 minutes, until soft but not melted. Immediately smoosh (yes, that is the technical term) pecan half onto each Rolo. Let cool and serve. Beat cream cheese and butter in mixer until smooth. Add in cake mix, brown sugar and powdered sugar and beat until smooth. Transfer to plastic wrap and wrap up into a ball. Chill in refrigerator for 2 hours. Place mini chocolate chips on plate. 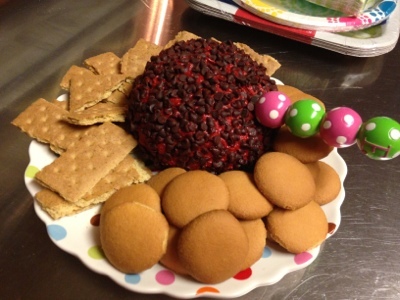 Unwrap cheese ball and roll in chocolate chips. 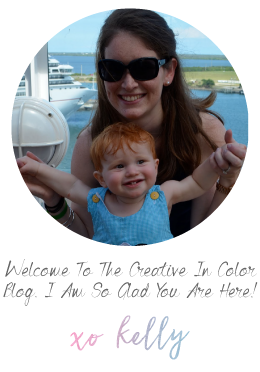 (You will have to wash your hands after this step...it is messy). Place on serving plate and serve with crackers/cookies of your choice.